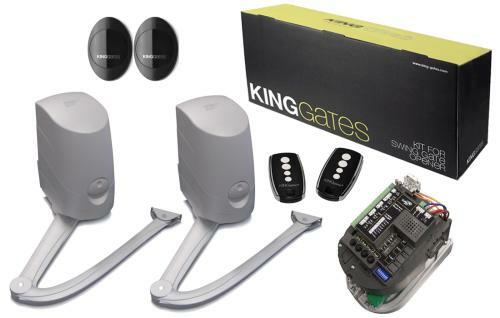 The Modus range is ideal for both new installations and additions to existing gates. The units simply bolt onto your existing piers whilst the controller is housed in the master arm. 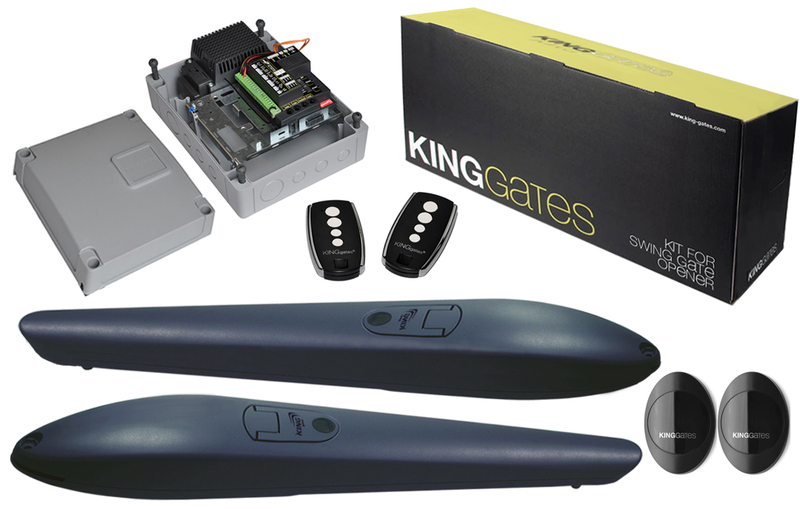 The Modus kit is complete with a pair of 24volt arm motors and capable of handling up to 2.8m per gate leaf gate.The kit is complete with a motor all the brackets required and override keys. 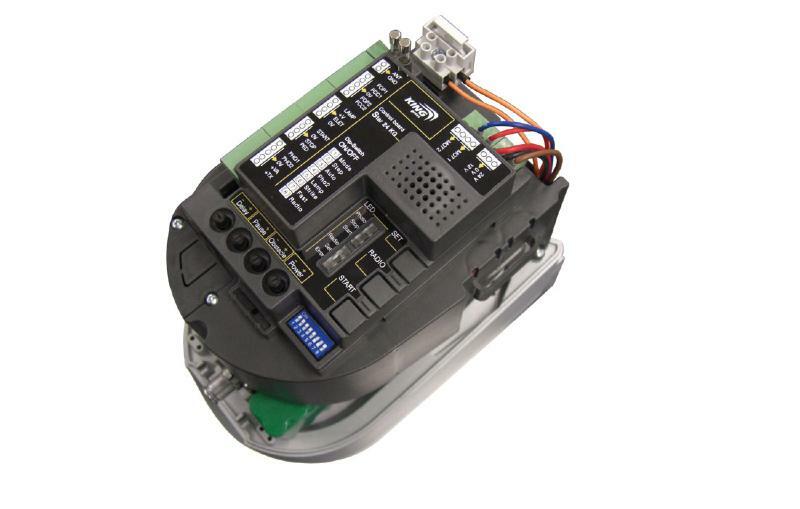 The unit's are housed in a tough cast aluminium casing.The controller is housed complete with power supply in the master arm and has auto programming, Built in radio receiver, Slow down for the end of travel, Obstacle detection, Pause time, Pre lamp, Pedestrian opening, Safety edge input and much more. Complete with. A pair of Infra red safety photo beams. Two 4 Channel radio transmitters.Please note that an optional back up battery and charger card is available for all the low voltage King range of motors. Please look under accessories. Stainless steel green dome push button. Viky B2 (180 Degree Photo Beams with Battery Operated Transmitter).